Red Funnel announced the appointment of Fran Collins as its new CEO with effect from June 11, as Kevin George, the previous CEO, moves to be Red Funnel Group Chairman. Scandlines Helsingborg-Helsingør continued the positive development and made progress in Q1 in terms of transferred cars, ensuring the route an increased share of car traffic on Öresund. The expansion of ferry HAMLET’s timetable from 1 December 2017 entailed greater capacity, which was almost fully utilized in Q1 already. Departures: 11,900 – almost on par with Q1 2017. DFDS has decided to deploy a new ship specially designed for the services in the English Channel from 2021. The ship will be built in Avic Weihai shipyard for Stena RoRo, and will be chartered for 10 years, with an option to buy. The ferry will be highly efficient with an expected reduction in oil consumption of around 25% compared to current ferries. It will be able to carry 3,100 lane metres of cargo and 1,000 passengers. With this capacity, it will be the largest of the ships on the Channel. 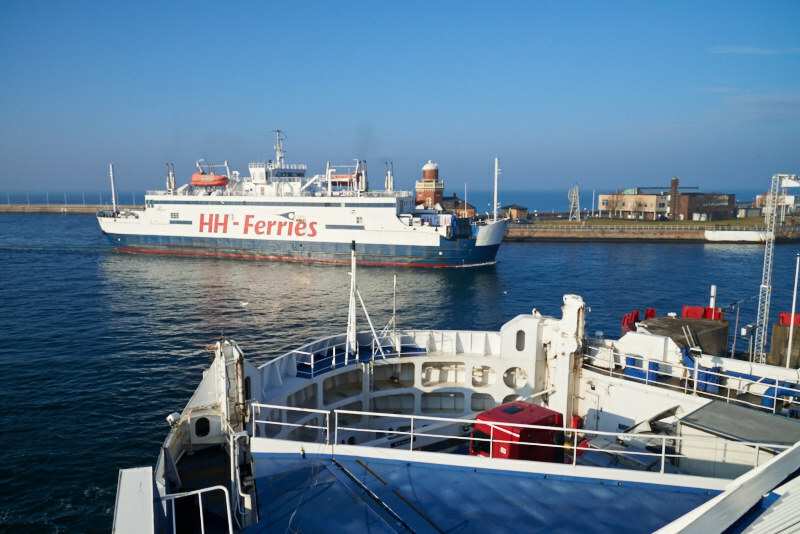 The ship will be delivered in 2021, and market developments will determine whether it will be as an addition to the existing fleet or a replacement of the 1991-built CALAIS SEAWAYS. 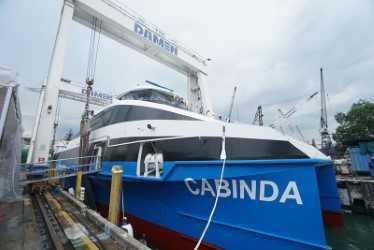 In a ceremony held at Damen Shipyards Singapore on April 19, the Minister of Transport for the Republic of Angola officially launched the new Damen Fast RoPax Ferry 4812 ordered by the Ministerio dos Transportes through IMPA (Instituto Marítimo e Portuário de Angola). The vessel will be operated by TMA Express (Transporte Marítimo de Angola) and operate on Angola’s Atlantic coastline between the capital Luanda and Cabinda, around 400 kilometers to the north, via Soyo. On Monday 16 April, a fire broke out in the engine room on board DFDS’ ro-ro FINLANDIA SEAWAYS, which connects Zeebrugge with Rosyth. The ship was towed to DFDS’ terminal in Immingham, where the cargo on board has been discharged, and where DFDS had the opportunity to carry out an inspection of where the fire took place. The ship will be out of service for several months for repairs. No suitable replacement ships are available. Because the route was already loss-making it has been decided to close the route. The Zeebrugge – Rosyth route was first started in 2002 by Superfast Ferries. Hurtigruten has signed a Letter of Intent with Rolls-Royce for a major environmental upgrade programme to hybrid power. The main engines on up to nine ships will switch from diesel to LNG and the upgrade will also include installation of a hybrid battery system. 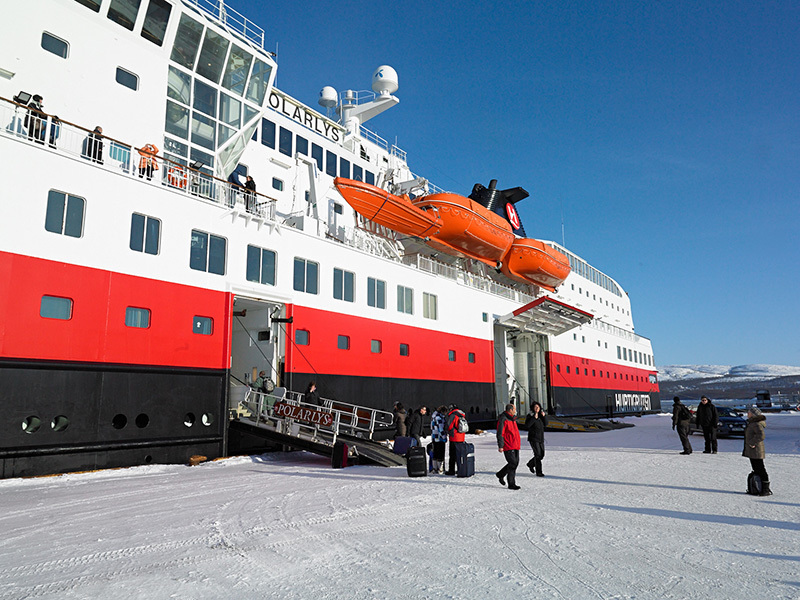 Hurtigruten was recently awarded licenses by the Norwegian Government for seven out of 11 coastal ferry routes. One of the key requirements from the Government of the route’s operator was a reduction in CO2-emissions. With its plans for a major upgrade, Hurtigruten will be able to continue operating its existing fleet on the route and at the same time meet these new stricter environmental demands. Rostock-based Neptun Werft handed over WDR’s new ferry on April 19. 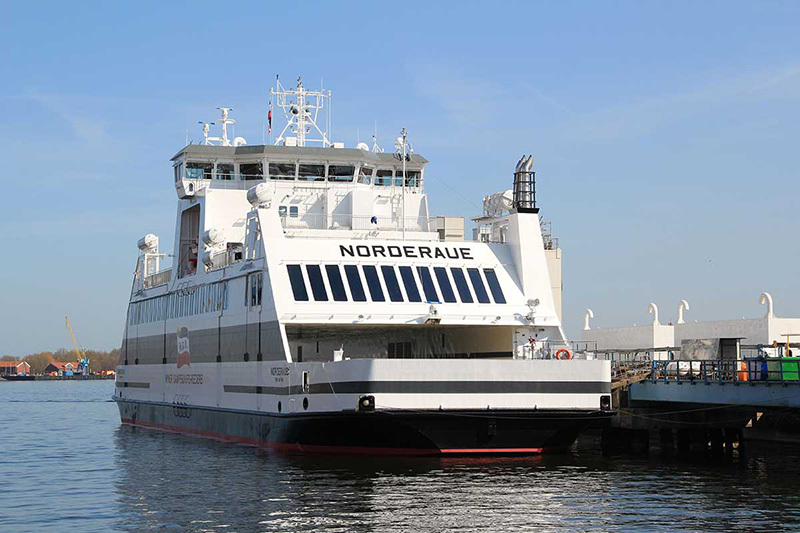 As from the beginning of May, the NORDERAUE will operate on the Föhr-Amrum route, replacing the RUNGHOLT. NORDERAUE is the third vessel in a series of double enders, with as main difference the four lanes for trucks.